one of my great my Personal care assistants! If you follow WWO at all, you would know that I hire my own personal care assistants. Some other titles for this position that I am familiar with are Personal Care Attendants or Personal Support Worker. It has been about twenty whole years since I was blessed, when our Ontario government decided to begin a pilot project to enable folks like myself, to be able to hire and self manage our own personal care. Initially, our entire province began with only 80 recipients. I got to be on the interviewing committee that was to select Direct Funding applicants from my region of the province. The main qualification was and is, that you are able to manage and direct your own employees.Direct Funding covers the administrative expenses such as hiring bookkeepers if we choose to not do our own bookkeeping, and other related costs. To also interview, an administrator from the then pilot project came to our northern Ontario community, along with some other admin folks and "consumers" like me, and we met together for three days (if I remember correctly) in a row. At that point, I had lived in what is called a Support Service Living Unit. What is that you ask? 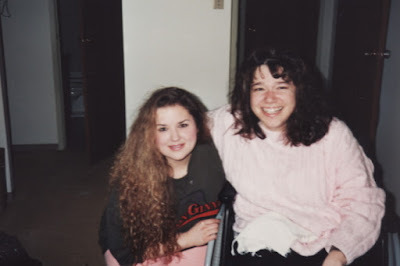 When I was seventeen, I was able to move into my first fully wheelchair accessible bachelor style apartment, where there were Personal Care Assistants in an office, on site, 24 hours a day. It was a thrill to be able to live on my own, after spending six years in an 18 bed residential institution for children with physical disabilities. It was fun for year one, but as I matured into a "cool" teenager :o) doing my own thing reigned supreme. What 17 year old wouldn't want to live all on their own! Well it mattered to me. 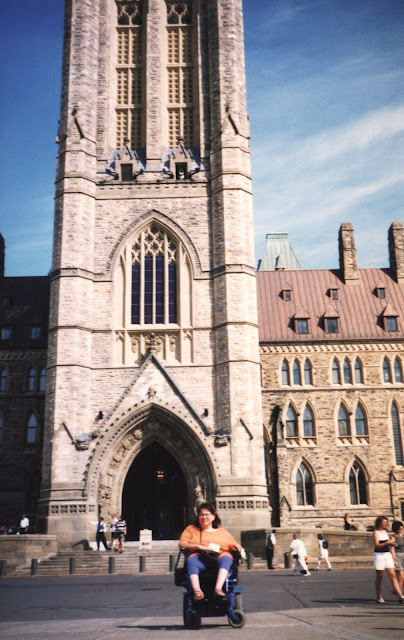 The guys who had lobbied and fundraised, to build and manage the first SSLU in Canada, allowed me to move in a year under the "legal" age in good faith. I was only seventeen and in grade twelve. I will never forget how wonderful and free I felt my first day in my own apartment, all on my own! Wish I could say I was on my best behaviour. Freedom came at a price and to make a really long story short, Jesus Christ saved my life from self destruction. But that is another story for another day. Canada for a college internship in 1990ish. So to be clear, an SSLU is a wheelchair accessible apartment unit that has 24 hour personal care assistants on site for a number of tenants living with physical disabilities. We are assessed according to levels of care needed and then the number of employees working at one time was assessed accordingly. Sadly I have heard about funding cuts and present tenants are not getting the care they would like, when they would like it. As with all not for profit, government funded organizations, budgets are tight and must be followed. To me, it was better to have to wait for someone, living independently, than to live in the institution I had been or live at home with my folks. I love them, but at seventeen I thought I knew it all and wanted to be on my own as soon as possible. enabling me to bring along one of my first, favourite PCA's, Randi! negative moments ever with a PCA, that prompted me to apply for Direct Funding. However, fear of the "what if's" over took me and I withdrew my application within those three days. And then something else happened with her, so my frustration escalated, pushing me over the top. Immediately, I resubmitted my application for Direct Funding the next day. It helped that the manager of my SSLU offered a back up emergency plan, so I could hire my own PCA's and have access to the on site PCA's with an emergency pager, should a bathroom emergency arise. With apprehension I agreed to push on and follow through with my application process. It was so meant to be, because out of my entire province, only eighty people would be accepted for the pilot project and I became one of them! Thankfully it helped a lot that I had a lot of experience directing my care in my home, with employees that I didn't get to choose per say, yet sort of. During my SSLU years, I had began helping with hiring PCAs for all of us in our building, by sitting in on interviews, offering my opinion, whether to hire them or not. Experience interviewing, equipped me with knowledge that most don't get to have first. My original employees blessed me beyond words. In fact, all my fears about having bathroom emergencies diminished, when once, I had to press my emergency pager (arranged by the manager of my SSLU) one day, to go to the washroom. The very same PCA, that had sparked me to frustration enough, to apply for Direct Funding in the first place. She just happened to be the one who responded to my call. She came to my door and asked if I could wait 20 minutes? The arrangement I had made with the manager prior was, that I would pay a monthly fee, to access their employees incase of an emergency. Then pay per hour if actually needed. I told her "No, it is why I pressed the pager!" I think it was it was meant to be, that the very person who upset me so many times, was the one to respond to my call in that manner. Why? Because it helped me to learn to hold it in, with all my might (my bladder that is) and wait for my own PCAs to make it to my apartment. The frustration and uncomfortable feeling was not worth enduring ever that again. So I cancelled my back up emergency service plan, cutting the safety net and flew out of my nest! Thankfully, I believe the Lord provided the option. where my dear husband and I want to. Never again, did I not have a choice of who was to provide my personal care. It also meant that I would be able to move out of the SSLU building and live wherever I wanted to. Of course it had to be wheelchair accessible. But until Direct Funding was available, we all had/have to live wherever the 24 hour PCAs on site were. Of course the SSLUs are a great system for many who want to live independently, but do not want to fuss with recruiting, hiring, managing, and training their own personal care. And it was a huge blessing for me for six whole years. The ability to live independently because of the ability to be assisted with other people's "arms and legs" so to speak, is an incredible experience. We know some folks who have been hit with sudden physical disabilities, accidents or aneurysms and then had to live in the hospital for 2-4 years, waiting for an accessible apartment (SSLU) with 24 hour, on site personal assistance. In our country, we often take for granted services that are available for persons living with various disabilities, that in other countries that would never even be considered a possibility. We have a friend in Peru who has no funding sources for his wheelchair, personal care and other related supports. He told us he would be dead if he was unable to work full time. Now working full time is wonderful, if you are able, but this fellow physically, has a progressive weakening like I do (Spinal Muscular Atrophy 3) and working full time for him, is a huge deal. I know for me, there are days when a small task, can drain most of your energy for the day. Working is the only way he could scrape enough money to pay for the basic needs for his life. Literally gathering any last bit of energy to work in order to save his life. A totally different mentality than many have in our continent. And even then, he was unable to afford a new battery for his power chair, (here they are about $500-600 CDN) and he primarily had depended on his family assisting him. But his family was aging, and his primary care giver, his dear mother passed away. Needless to say, he was experiencing fear and serious concern regarding how to obtain actual people to help him out and fund care for his daily living needs. Hearing his story, helped to open our eyes to see just how blessed we are to live where we do. 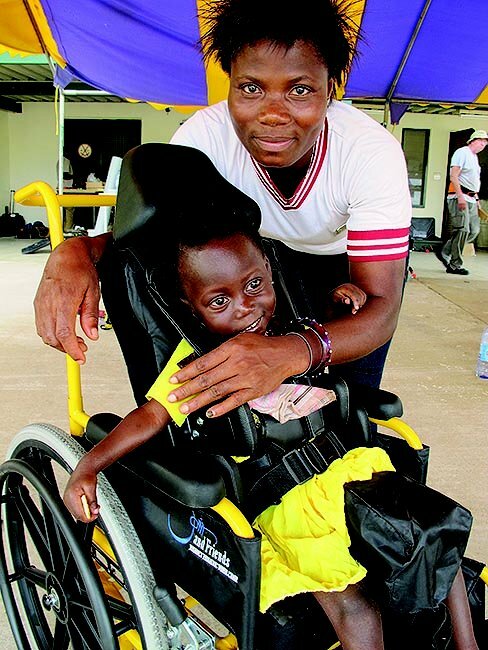 In many countries never mind receiving personal care, owning a wheelchair is something not possible. Joni Eareckson Tada's Wheels For The World, do all they can to provide mobility devices to places where physical mobility may be sliding around on the ground using your arms or attaching some wheels to a plank like a skateboard, or never being able to leave your bed. I can't ever imagine that. I am so thankful to God for the abundant blessings in my life. We know depending where you live in this world, living with a physical disability can mean lives opposite to our lives in North America. In some countries where having something like a hearing issue, a child can end up abandoned, living in an orphanage. Some countries, like I mentioned, there is no access to personal care, unless it is family, or mobility devices. And tragically, in a continent where we have many supports and access to equipment and care, even if it has to be in a hospital, there are North Americans who choose to actually abort pregnancies when they discover their baby has a genetic disease, such as mine. So even though we have access to care other countries don't know of, some ignore those blessings including the blessing of life regardless of abilities and make tragic choices. It is by sharing our stories that hopefully, we can help those who take so much for granted, to treasure life no matter how their bodies are being affected by disabilities and illness. For me, it is the ability to hire and manage my own Personal Care Assistants so I can live alone with my husband. Not to mention the ability to receive funding assistance for our wheelchairs, cushions and healthcare. Be thankful Canadians! Share Your Story, Questions, and Thoughts below. We'd love to hear from you.